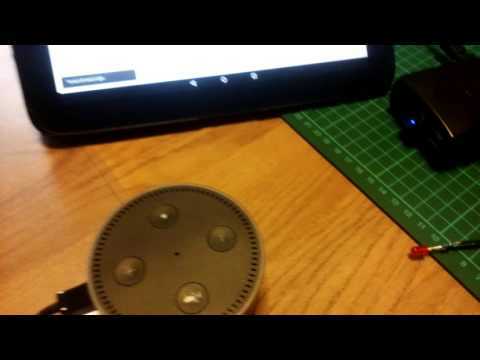 This week I bought an echo dot device and I wanted to try out some of its home automation features. I used Home Assistant (Python, Open Source). For my test setup I added a LED on RPI port 18 (I used a 68 ohm resistor). I followed the documentation for Home Asssistant for installation on a Raspberry Pi. The Home Assistant is configured via the yaml config-file configuration.yaml. I am using Home Assistant’s rpi_gpio switch platform to control the LED via the RPI’s GPIO pin.